Davide Piubeni Paints on Washington - Yo! Venice! Wondering who the guy that was painting on Washington near the Cow’s End was? That is Davide Piubeni, who grew up in the Sarezzo Province of Brescia, Italy. Piubeni has lived in LA since 2000 and many of his images end up on T-Shirts in beach communities. 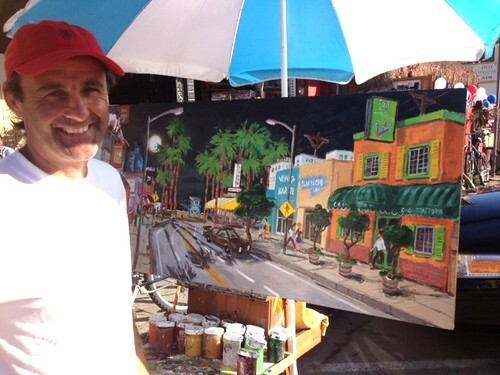 Check out more of his paintings by clicking here!